Raising Real Men » » What is a Facebook Party, Anyway? What is a Facebook Party, Anyway? Well, what kinds of things do you do at a real party like a shower or drop-in? You mill around, chatting with various people, enjoying the refreshments and party favors and maybe even winning a door prize. 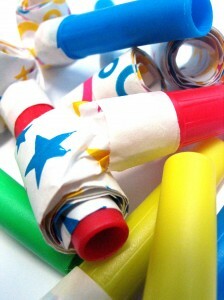 A Facebook™ party is the same idea, but it’s all done virtually. You invite your fans to join you at a certain time on your page. During that time, they visit with you and your invited guests, ask questions and interact with your company or organization and each other. It’s a great way to learn what your contacts are thinking about and build loyalty by being available to them in a personal way. Why should I attend a Facebook™ Party? Can you imagine coming to a Party at our house, where you can sit down and chat with us, as well as visiting with tons of other boy-moms and boy-dads? And what about all the special guests we’ll have, too? Well, our house won’t hold all of you, but our page will! And, there’ll be party favors (freebies) and door prizes (contests) from lots of your favorite companies as well as new ones you may want to learn about. We’ll be having a Party in January. Head over here if you are a business or ministry wanting to be a part of it. How can I throw a Facebook™ Party of my own? Wondering how to make social media work for your business and not just eat up time without results? Would over 800 new fans, over 2600 new comments on your blog, and 400 Facebook shares help? Those were the results of our first Facebook Party! Get your social media moving and effective by making it truly social! Learn why this marketing technique is a blessing to everyone involved – the host, the sponsors and the attendees. Harness the money-saving, result-producing power of co-marketing! We’ve written a how to do a Facebook Party eBook telling you step-by-step just how to throw a great Facebook Party. It has information and insights we’ve never shared with anyone! 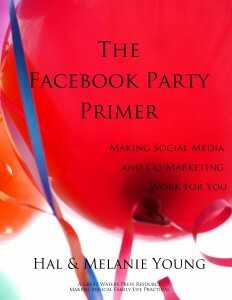 “If time truly is money, then The Facebook Party Primer will save you hundreds of dollars in research hours! 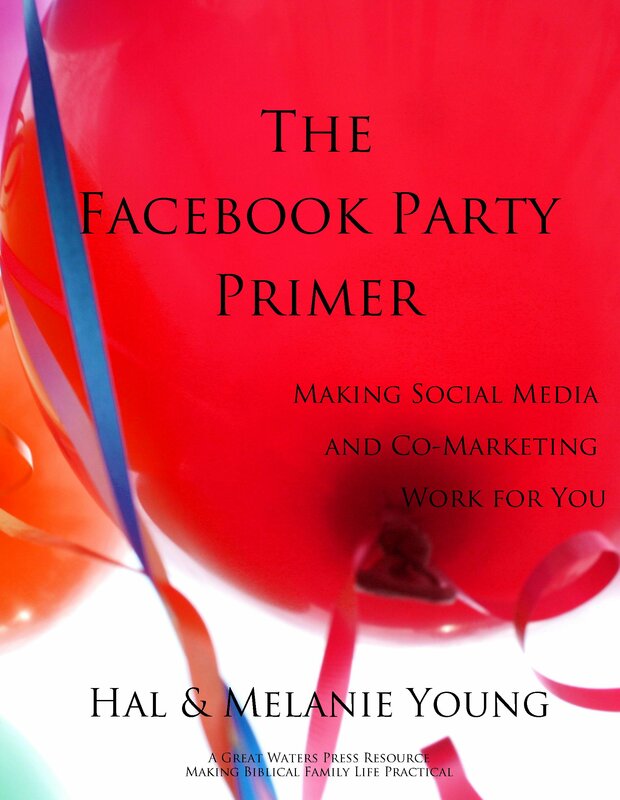 Hal & Melanie Young’s ebook is a fantastic primer which virtually holds your hand as you walk step-by-step through the Facebook party process. It is easy to understand and encouraging. They even let you use their own forms so you don’t have to create new ones. What more could you ask? Whether you’re a social media superstar, a nervous novice, or somewhere in between, The Facebook Party Primer can help you positively impact your business. The Facebook Party Primer, eReport, 25 pages, with timeline, forms, links and explanations detailing exactly what you need to do. Don’t get left behind! $25 Introductory Price of only $10. When you click “Add to Cart,” a shopping cart will appear in the left sidebar. Click “Check Out” under the cart to proceed to check out. An email will be sent to you with a download link. Thank you for your business — we hope it will bless your business, too!